The rent at Dundale Square Apartments & Townhomes ranges from $755 for a one bedroom to a $1,225 one bedroom. Apartments in this building are about 9% less expensive than the Norfolk average. This is a pet-friendly apartment. This apartment is in Norfolk. 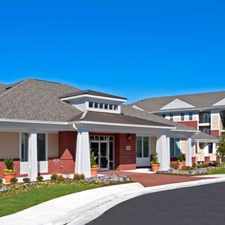 Dundale Square Apartments & Townhomes has a Walk Score of 39 out of 100. This location is a Car-Dependent neighborhood so most errands require a car. We've done some renovations that we know you're going to love! Our convenient location puts you within minutes of I-64, military installations, shopping, and the airport. The bus line goes right by your door and we're directly across from the schools! We're spread over 9 beautiful acres, and we also have other locations available. Don't miss out! Come in and see us today! Explore how far you can travel by car, bus, bike and foot from Dundale Square Apartments & Townhomes. Dundale Square Apartments & Townhomes has some transit which means a few nearby public transportation options. Dundale Square Apartments & Townhomes is in the city of Norfolk, VA. Norfolk has an average Walk Score of 45 and has 242,803 residents.